Foraging shaggy mane inky cap mushrooms. Photos courtesy of Dan Potts. Most readers of Utah Stories might recognize my name as an author of mostly gardening-oriented articles. Although I have been passionate about foraging since I was a teenager, I taught my first class through the West High Community Education program in the fall of 2011 with only 12 students in attendance. As the years passed, the number of students continued to climb, mostly due to word of mouth, so I decided to also teach a spring class because of all the yummy things available then. I simply could not keep up with the demand as student numbers continued to climb, and as more people seemed to be increasingly interested in natural foods that were likely to be healthier to eat than much of the farm-raised foods available in the markets. Most foragers assume that the best foraging is during the late summer and fall when the wild berries start to ripen and the high mountain mushrooms start pushing up through the ground after the monsoon rains. But I believe spring and early summer often supply foragers with a different source of yummy, healthy foods including greens, green vegetables, mushrooms, and surprisingly, even one fruit. Most of us refer to most of the greens available in the spring as “weeds,” and commonly pull them up in our yards and throw them away! Many have heard about eating dandelions, but other weeds are great to eat as well, if harvested at the right time and properly prepared. A quick list of other greens (weeds) includes prickly lettuce, stinging nettle, chick weed, crane’s bill, and sow thistle. People are often pleasantly surprised at just how good such a mix can taste, and many regret having thrown away so much great food over the years. My favorite green is wild spinach (lamb’s quarters), readily available in almost everyone’s yard, but can be found growing abundantly as a dense patch on previously disturbed soil, often around construction sites. Another great green that is available year-round, is extremely easy to identify, widespread, and easy to cook, is curly dock; a close relative to its well-known domestic cousin, French sorrel. Both have a distinctive lemony flavor. 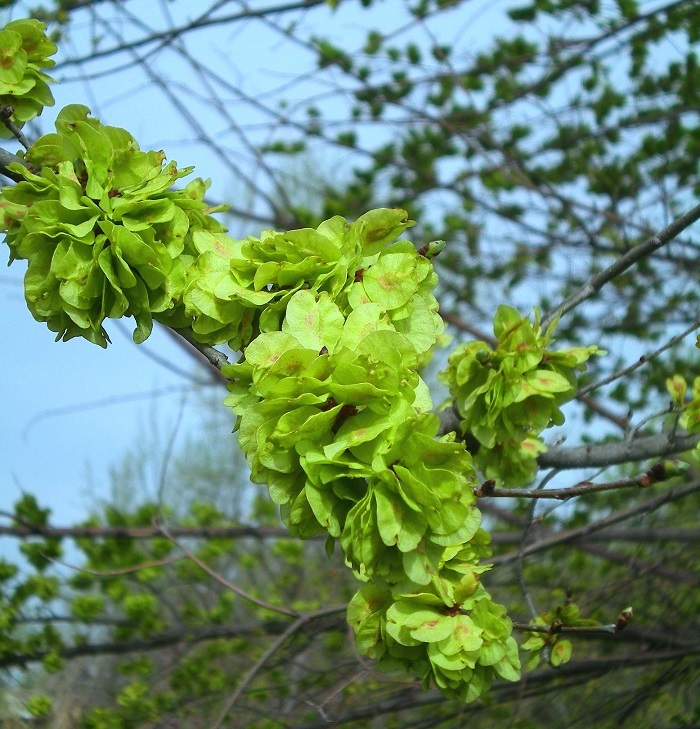 The most revolutionary experience from the past decade, however, is eating Siberian (Chinese) elm tree seeds while they are still young and bright green. Most people know this weed tree to be the bane of their neighborhoods from their easily-blown seeds that fall and sprout practically everywhere. These “samaras” have excellent taste eaten raw, are very easy to harvest in huge quantities, store for weeks in the fridge crisper, and are very nutritious. Because of their pleasant texture and sweet taste, my wife and I prefer eating them in tossed green salads, but have found that they can also be incorporated into endless raw and cooked dishes. Possibly the most commonly harvested spring vegetable in America is wild asparagus. It is found throughout the lower elevations of Utah, around agricultural fields and along waterways. Unfortunately, because it so sought after, it is often over-harvested. Because Utah’s agricultural lands are quickly being replaced by houses, the availability and access to asparagus is waning. 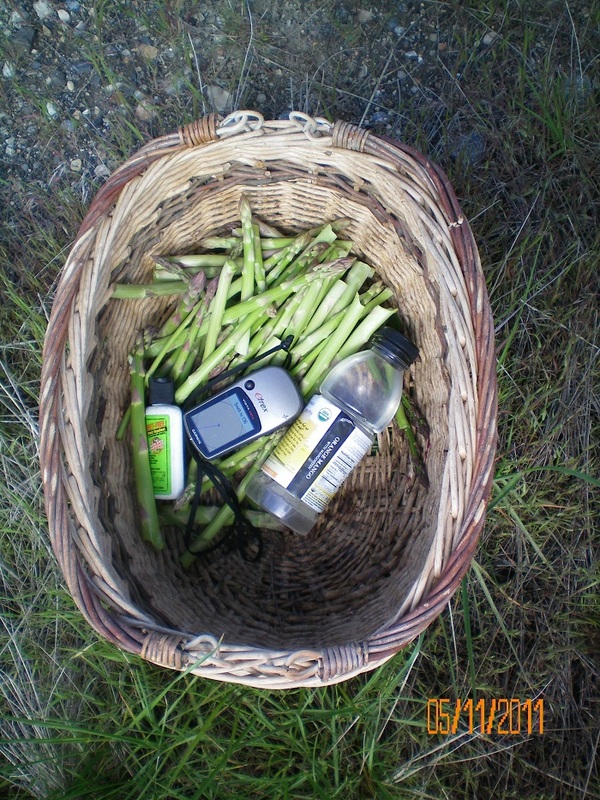 Some good foraging is still available through knowing the right people or by building a friendship with a landowner. Cooked much the same as asparagus, the younger flower buds and stems of sow thistle are an acceptable and more readily available replacement. Also widely available, spring dandelion flowers are great when deep fried in batter and sprinkled with a little salt. 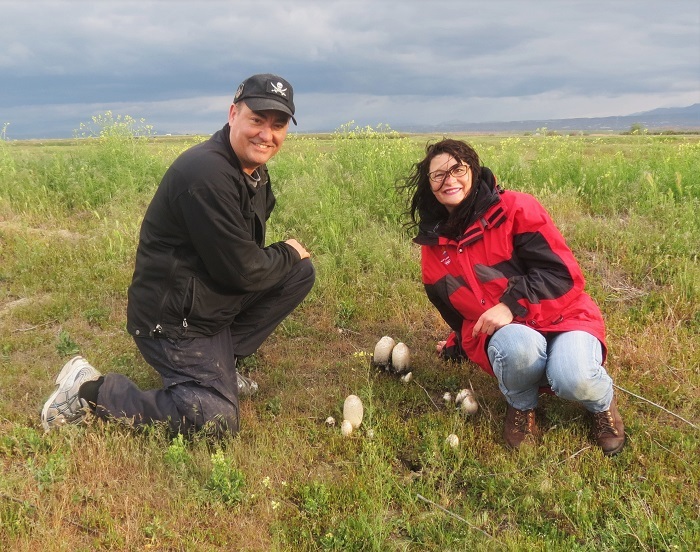 Surprising to some, wild mushrooms are also available in the spring, especially after needed spring rains. One of those available throughout Utah is a mostly subterranean meadow mushroom that is easy to harvest and stores in the fridge pretty well. It looks and tastes just like the button mushrooms found in the supermarket, but is larger. The caps of three other species often seen in lawns and growing on wood melt into a black goo, so are referred to as “inky caps.” Harvested young, they make pretty good table fare. Another species, the “winter mushroom,” can be found year-round, and is the only one found growing in the dead of winter, usually on wood. Although okay in soups, the only thing it really has going for it is it availability when other mushrooms have not even thought of fruiting. Utah’s only wild fruit available in the spring is the ground cherry. Looking every much like small, green tomatillos in their cute little hanging lanterns the previous summer, they are toxic to eat at that time. But, lying protected in their lanterns on the ground under leaf duff all winter, they turn yellow and extremely sweet by spring. They are great in a fruit salad, and some people make jam from them. Rule #1 – NEVER eat anything you do not already know! Rule #2 – NEVER mix things you already know with those you do not! So, get started learning plants and mushrooms by buying or checking out books on the topic, and/or take my spring or fall class at West High. Learn a species, and then learn another, and always use the buddy system when out in the wild. Wild food is fun, yummy, and nutritious, so get out there and forage!